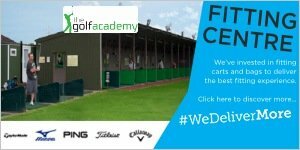 The Golf Academy was formed in 2010 by three PGA Professionals who have a vision that golf should be made accessible to all members of the community. 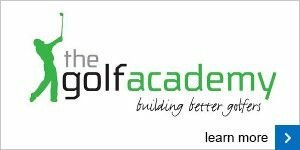 The Golf Academy is focused on changing perceptions by breaking down the barriers that have traditionally been in place, restricting people from participating in golf. Golf offers countless opportunities for individuals taking part, the most notable of which are improved health, wellbeing and to make new friends. Craig was one of the first to qualify with honours as a PGA professional through the foundation degree programme at The Belfry. During his time as a professional Craig has used his knowledge and skills to help golfers of all levels of golfers from the complete beginner to the Professional golfer. 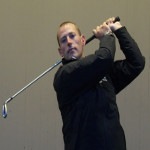 Craig takes a very open approach into every golf lesson and will work with the individual to find a technique/style that is best suited to them along with applying the key fundamentals. 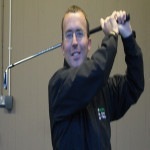 Craig has won several awards for his work in recent years including The Golf Foundations Burroughs and McKenzie awards, Toby Sunderland PGA award 2012 and Midlands PGA Professional of the Year 2013. He also achieved advanced professional status in 2013. He has also worked with Olympic and Paralympic athletes and Ladies European tour players. Craig has taken his passion for coaching to another level and is now working very closely with local and nation Disability Groups to help increase participation by disabled people. Craig likes his lessons to feel that he is more than just a golf coach and is someone that can be confided in and is approachable and will therefore always endeavour to maintain communication with his lessons. Craig's Tip To Help You Improve Your Golf... "Use your time on the range effectively. Bashing balls for hours on the range is not an effective way of improving your game. Every time you hit the practice ground, make sure you set out a structure and a set of goals"
Craig has used the PGA Professional Diploma and PGA tournament play to create his own simple and effective method to approaching all pupils. Find the biggest cause of the individuals fault and have useful and simple motion drills to improve their technique. Very straight forward explanation with no technical information needed. Craig takes time to establish the real faults and holes in players game with a statistics based feedback system he uses to create his own winter practice program. He feels that most people hit far to many balls without correct thought or idea, his plan would be to take control of a players future and not leave their destiny in the hands of trial and error, experimentation or sources that don`t know the individual. Craig takes as much pleasure showing someone how to hit an amazing shot as he would playing the shot himself. Craig's Tip To Help You Improve Your Golf... "Tempo and routine is key to success but having clear principles and structure to each shot leads to the best results under pressure ". Danielle has used skills gained from her BA Hons Applied Golf Management Studies Degree to provide simple, effective instruction to golfers of all standards to help them reach their potential. 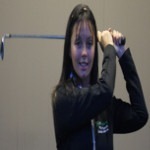 Danielle takes time to learn what each individual golfer is looking for from their game, but believes most golfers have too many swing thoughts at one time – she believes her job is to provide golfers with simple to follow advice that works. Her passion for the game is evident and she particularly enjoys developing junior golf, having started playing at a young age herself and finds it rewarding to see youngsters take to the game. Danielle's Tip To Help You Improve Your Golf... "The key to achieving consistency lies in the fundamentals – spend time getting these right to make a good repeatable golf swing".